In Mrs. Prisana Heaton’s classroom, large framed poster boards color the walls, each one explaining a complicated mathematics with an illustration. As a child, Mrs. Heaton was drawn to the subject of mathematics because of its innate logic and system of reasoning. 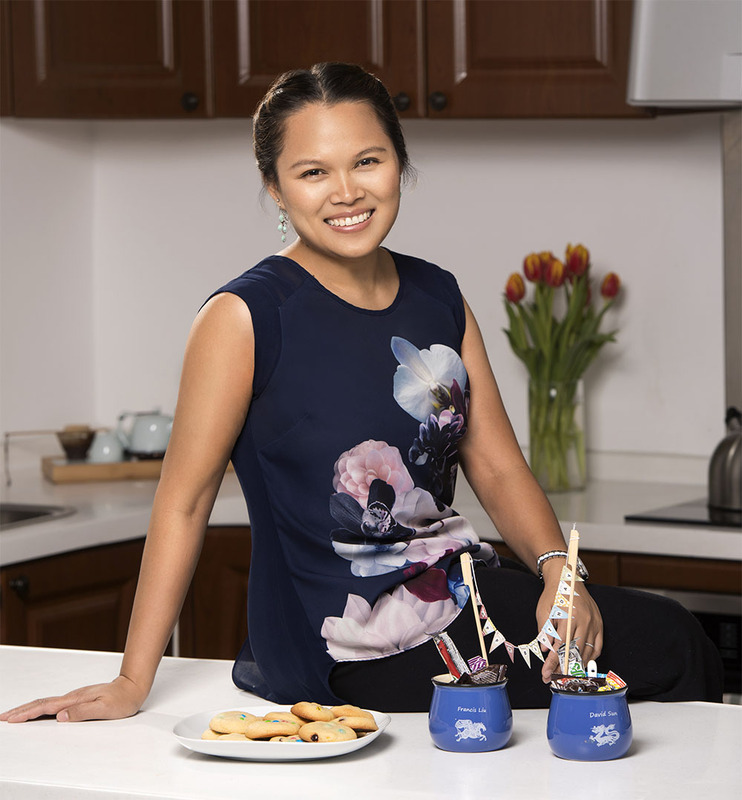 Later in life, her passion for education and mathematics would bring her into a teaching role. 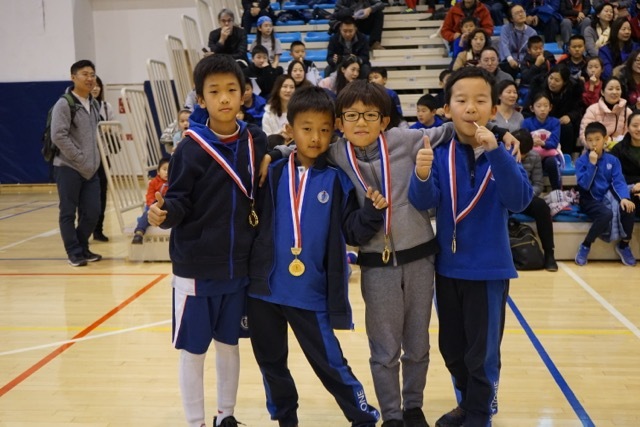 One Saturday morning in late autumn, Keystone Academy held a Mathematics Relay competition for students in Grades 4 to 9. Students eagerly entered campus, ready to exercise their mental muscles with peers in order to solve complicated mathematics problems. Cultivating quantitative skills in the classroom and applying them to real world practices helps students feel confident in their ability to navigate the world. 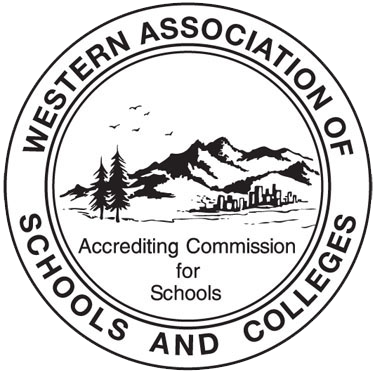 In addition, students feel inspired to challenge themselves academically and intellectually. Please find below an interview with Mrs. Prisana Heaton, the trail blazer nurturing students with a budding interest in mathematics to pursue their passion for the subject. Q: What are the greatest merits of learning Mathematics? How do students apply math techniques at this age in the real world? Math teaches students problem solving skills – creative, critical and logical thinking, how to be organized and improve their communication skills. Knowing basic arithmetic and understanding the calculations behind the real-world applications ensures that we are aware of what is happening around us. Checking that the correct wages and taxes have been given or service fees charges are right helps us to understand different systems of governance. Understanding finances helps us plan for the future so that we can retire comfortably and not stress about a roof over our heads or where our next meal will come from. Q: What was the purpose of the Mathematics Relay at Keystone? 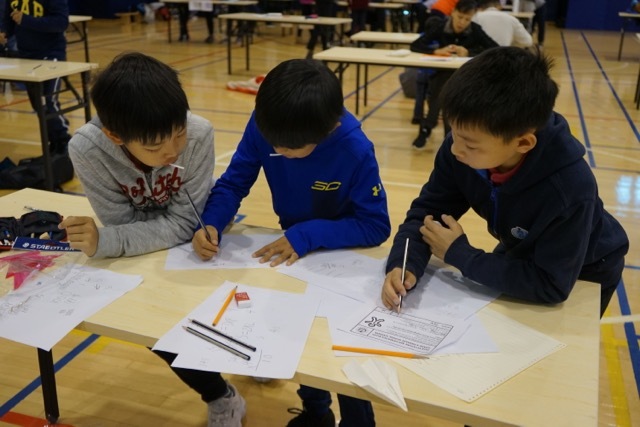 The Keystone Math Relay allowed students to practice competition style questions that require collaboration, critical thinking and creative thinking in order to find the solutions. 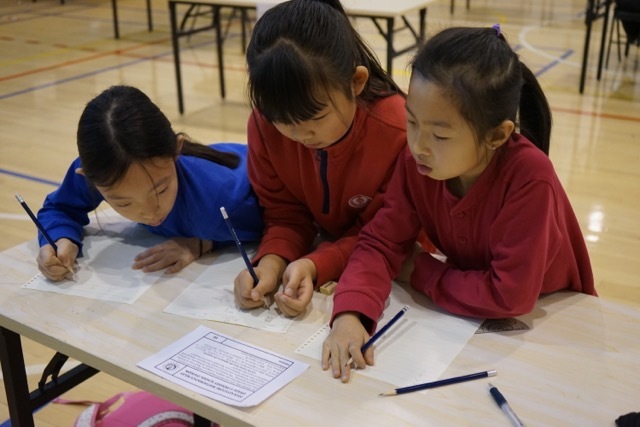 In many math competitions like AMC, Math League, ACAMIS, NEAMC, etc., the school can only have 4 – 8 representatives. These competitions don’t give our other talented students a chance to show us what they can do. 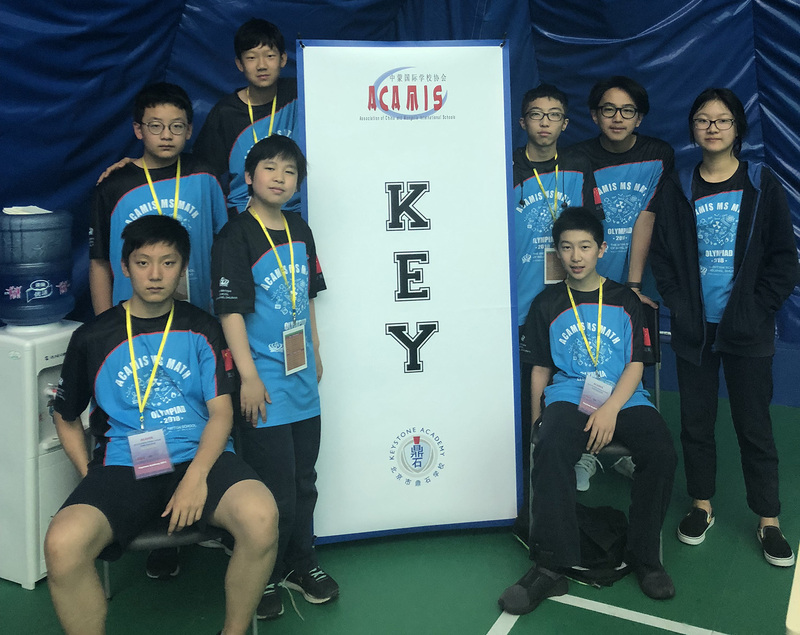 The Keystone Mathematics Relay is a group event that allows students who are not as confident in mathematics to still have fun and learn from their peers. Solving unfamiliar word problems using their existing math knowledge is part of the curriculum. Exposing students to these types of applications builds a stronger foundation and helps students feel more confident about using mathematics outside of the classroom setting. Q: How did the students prepare for the competition? Why are these types of events important? 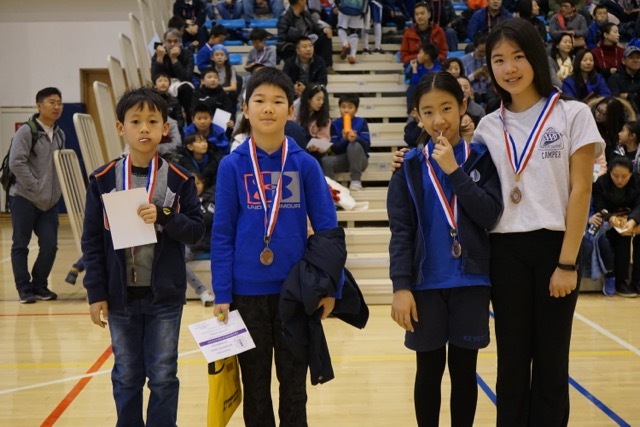 Students were given two sets of Relay style questions, for each division, both from last year’s Math Relay competition. They were asked to meet up with their teammates prior to the event and work on solving the questions together. During the Math KAPs, the students also worked on these problems and competed as teams. The math teachers allocated times during their lessons to work on these problems. Events like these are important because students get to practice the skills they learned in class to solve unfamiliar questions. It helps build confidence and also allows them to solve questions that are not in the textbooks. Also, this kind of event doesn’t have the same pressures that a classroom test has – if they don’t do well there is no downside – this allows them to focus on the mathematics process rather than the results. Q: How do you plan to arouse more interest in Mathematics at Keystone in the future? 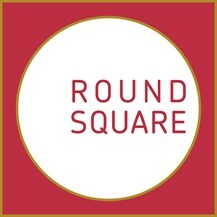 What events would you like to see happen at the Academy related to Mathematics? 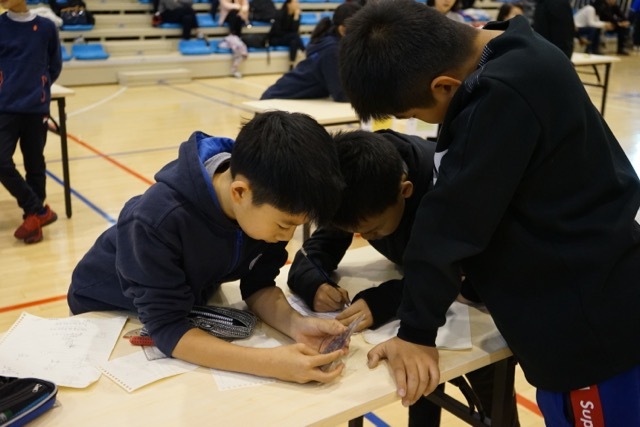 In the first year of the Math Relay we had approximately 90 G6-9 students compete in the hour-long event. This year we had nearly 240 students. The big growth of participants showed that our students enjoy mathematics even though it can be challenging at times. These events promote collaborations and communication between our students. It allows our students to be risk-takers, accepting that failure and success are all part of life’s lessons. Students learn from their mistakes and then celebrate success when it occurs. 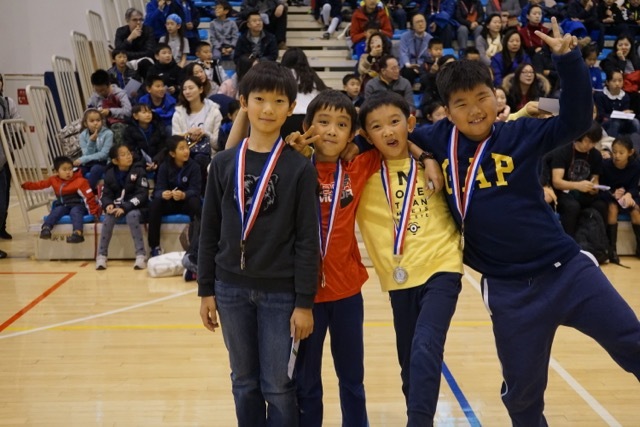 I hope to continue the Math Relay event for grades 4 – 9 in many years to come. In the future, perhaps we can hold it once a semester instead of once a year.